In this episode, host Neil Howe talks to Nelly Sell, SEO Strategist at Blue Laser Digital in Columbus, OH. 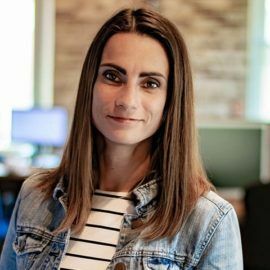 Nelly and her team help small and medium-sized businesses in Columbus, OH and across the nation and grow their businesses through organic search. A lot of people believe that SEO is something they can see fairly quick results from. However, some of the campaigns may not perform for several months, depending on the competition, market saturation, and the website’s history. Another popular misconception is that SEO provides "free" traffic. While this is mostly true, especially when compared to Paid Ads, SEO still requires time and budget for tools that help your SEO expert collect and analyze data, and sometimes even automate your campaign optimization. Listen in as Nelly shares why websites should be set up with SEO in mind, how to develop content that converts and how to analyze the competition.